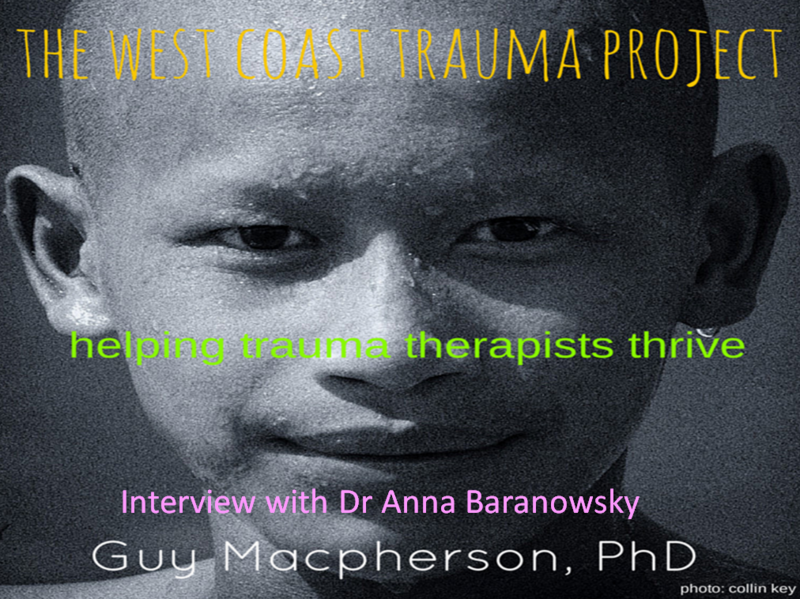 Guy Macpherson interviews Dr. Anna Baranowsky on her 15 years of Trauma Practice. We are all woven with a mechanism to recover. Anna shares the story of how when she was a very young girl she was aware of the fact that her father had experienced trauma and yet never received the care he needed, and how this knowledge influenced her to journey into the trauma field. Anna shares an early story about working with a client who would enter the session in a state of panic wanting to talk his trauma, and thereby re-traumatize himself, and the knowledge now of what she would have done differently. I have had the opportunity to see individuals do extremely well in trauma treatment and it reminds me of all the people in my life who have struggled with trauma and deserve to embrace growth in their life. Learn how to take care of yourself! Whatever you do [to care for yourself] make sure that there’s something in place that will give you access to the core of your being and your own stabilization.